Born September 2, 1940, in Jackson County, he was the son of the late Eugene and Ina Ivey Perry. He was the brother of the late Walter Perry, Margaret Tinsley, Avis Coker, Mardell Davis, and Linda Sexton. He received a BS in Criminal Justice from North Georgia College. He was a retired sergeant in the Georgia State Patrol. 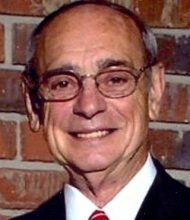 He was a loan officer with 1st National Bank of Jackson County, and had been a mail carrier. He was a Mason. He was a member of the Belmont Baptist Church of Talmo, GA. Survivors include his wife Marie McDuffie Whitworth Perry; two sons, Eric Perry of Lavonia, and Scott Perry of Madison, Alabama; two grandchildren; three brothers, Tommy Perry, Athens, Ralph Perry, Jefferson, and Kesler Perry Commerce; two sisters, Judy Williams, Littleton, NC, and Jean Ward, Hoschton, GA.
Services will be Wednesday afternoon, March 20,2019 at 2pm at the B D Ginn Memorial Chapel in Carnesville. 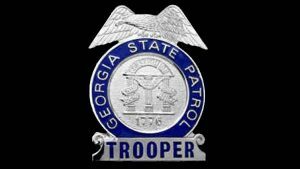 Interment with Georgia State Patrol Honors will be in the New Bethel Baptist Church Cemetery. The body is the Ginn Funeral Home, Carnesville, GA. The family is at the home. They will receive friends from 2 until 4pm and 5pm until 8pm Tuesday at the Ginn Funeral Home. Just found out about T. So sorry to hear, I still appreciate what you’ve done for him. Prayers & Sympathy to all the Perry Family!!! Growing up in Talmo & with a brother (Sewell) the same age as Talmadge, I was lucky to know T all my life. I can’t think of anyone who enjoyed a good joke or prank better than Talmadge!!! He was a good man & I’m sure he will be greatly missed! Talmage is one of my husbands, Walter O. Perry, younger brothers. The last time we saw him was in Sanford NC with his brother Kesler before Walter passed away. Oh, the stories those three could tell. Talmage was a good man to my children and me. He loved all of us dearly. My family sends sympathy and love to the Perry family. I am unable to travel due to my health. I live with Pam now and she sends her love and sympathy as does my daughter Patricia. Mike just got out of Duke University Hospital after a double lung transplant. We are going to tell him about Talmage when he is stronger. We will never forget all of our travels across the country to visit Walter’s family. God bless you all. We will keep you in our prayers. Thank you, Aunt Marie. I have fond memories of traveling late into the night to Sanford, NC to see you and Uncle Walt. Thank you for writing such kind words about my father and to my family. May God bless your family. Roger and I are sorry to hear of your husband’s passing. you and the Perry family are in our prayers. 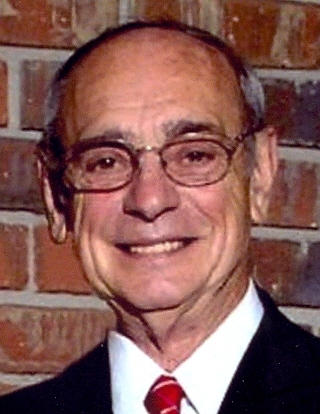 We are so sorry to hear of the passing of Talmadge. He kept me going at GSP Gainesville. All of you are in our thoughts and prayers. We are so sorry to hear about the passing of T. You and your family will be in our prayers. If you need anything at all please don’t hesitate to call! We are so sorry to learn of T’s passing! Daddy thought so much of him. We are praying for you all! Our prayers and love to the family. We have lost a brother and dear friend in T Perry. I will always remember those phone calls from T, he was just a special character. Always that special word from him was just wonderful. Our prayers are with you Ms Marie amd family. Just keep those BLUE LIGHTS flashing on those wings.. I was in the 9th grade at Jefferson high school the first time I met Talmadge. He was always so kind. He and Thomas’ Brother Ben worked together for years. Talmadge Perry is someone everyone who knew him will miss. Love and prayers to all of his family. Marie if we can do anything please call. I will say that this is some of the toughest news that I have heard in some time. T was one the the men in my life that helped me through some hard times. He taught me things about people and how to deal with issues that I use to this day. We worked together at Rack Room Shoes in Commerce for a couple of years. I would think of him often as we would commute from Buford to Charlotte, NC. We would stop every now and then to see him at the campground that he ran. He had such a servants heart. God has gained a good one. I will look forward to the day that I see him again. I am sorry that I can’t make ti down to see him off. But we will have everyone in his family in our prayers. This really hurts my heart and the world is now worse off without T being here. Godspeed T, until we meet again. Some of the best times on the patrol were spent listening to T’s stories. I wanted nothing more than to be a Georgia Trooper because of men like T. Thank you T for setting an example for others to follow. Godspeed brother! I had the honor of doing the background check on Talmadge when he first came to work with the GSP. He was a longtime friend of mine. Later on we patrolled some together and all he ever talked about was Eric and Scott. He was very proud of both of his sons. He was a true friend and he will be missed greatly. My husband (Carl) and I are heartbroken to hear the news that Talmadge has passed.Carl has shared lots of memories from very early in his life of how Talmadge had such a huge impact on his life.He taught him a lot about responsibility and respect.He thought of him as a father figure in his life.Lots of memories from when T ran the bowling alley in Jefferson and taking him to get haircuts and many other things!To many things to even list!He mostly instilled in Carl how to be the best person he could be!I met Talmadge not long after Carl and I were married and could see why Carl thought so much of this great and kind man.We lost touch with Talmadge years ago but know we have always held a special place in our hearts for the man that helped mold Carl into the man he is today.Sending love and prayers to the family. We are so sorry to hear of you Loss of your Father,Erick and Scott.Sending love to the Family and our prayer’s. Please know you’re in my thoughts and prayers. What great memories I have of Uncle Talmadge. His bigger than life personality and that cigar. He always brought happiness into any room he walked in. I always smile when I think of him. I had the privilege of working with Talmadge at Gainesville GSP. He made me feel at home from day one. Special man that I remember well. Sad to hear of his passing. GSP 585. Ed Couch. Eric so sorry to hear of your Dad’s passing. Enjoyed working at DPS with Talmadge, he was a gifted speaker with a magnetic personally. Prayers of comfort for you and family.